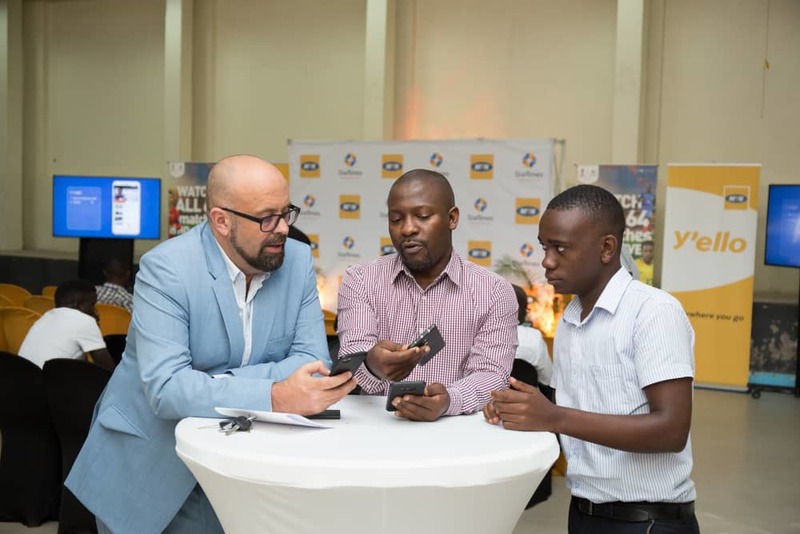 KAMPALA – Telecommunications giants, MTN Uganda have partnered with pay TV service providers Star Times Uganda to allow Ugandans watch the World Cup round of 16 in the.palms of their hands. 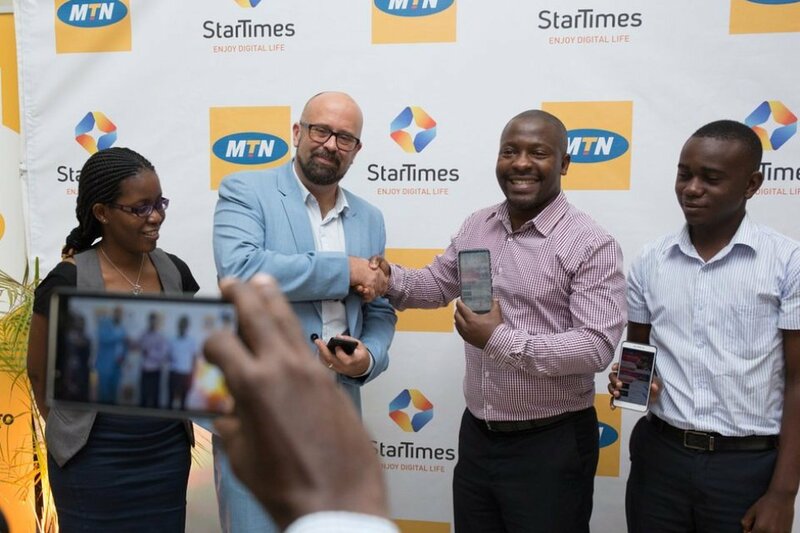 Under.the.partnership, MTN Uganda will offer special promotional MTN TV bundles for viewers to watch the latest StarTimes entertainment, sports and news for as low as Shs2,000 (for two hours) and Shs4,000 (for four hours) per day using the StarTimes app. 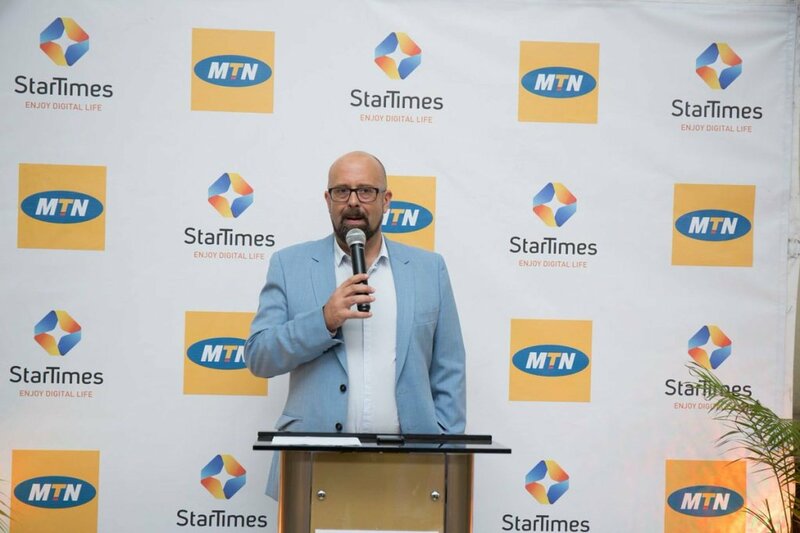 While penning the deal on Tuesday June 26, MTN Chief Marketing Officer Olivier Prentout, said the partnership with StarTimes Uganda will help MTN continue its vision of delivering a bold, new digital world to its over 12 million customers. “StarTimes, as the market leader in PayTv industry, reaches out to the widest range of customers across Uganda. This is important in ensuring internet access – as well as TV content – is accessed by as many customers as possible,” Mr Prentout said. He also highlighted the benefit of the affordable time-based data bundles that will be used to access the StarTimes content using the StarTimes app. “Video content uses substantial data to stream/watch/download. With our partnership, we shall offer time based bundles; for instance if one needs to watch a football match, purchasing a two hour bundle would come in handy as one need not to worry about depleting data mid-way viewing”. “As the leading pay TV in Uganda, we are delighted to be launching this partnership with the largest telecommunications company in Uganda. The FIFA World Cup is the largest single event in the world and everyone wants to be a part of it. As official broadcasters of Russia 2018, this innovation should enable every Ugandan with a phone to follow and enjoy the FIFA World Cup wherever they are at their convenience affordably” he said in confidence. During the launch, Nsubuga also spoke about the future of television being streamed through the internet rather than through telecommunications, multichannel televisions and broadcast television, something that Prentout highlighted. “With more and more people being connected to smart phones and steady internet, TV will become something that will be mandatory to access on the go. The only way to do this is through having unlimited access to all their TV entertainment. We believe that the MTN – StarTimes Uganda partnership can deliver this” said Prentout. The timing of the bundle only references the total time spent consuming content on the StarTimes app. If one buys a two hour bundle and watches it for 10 minutes then stops, the time counter also stops. When you resume and watch for another 20 minutes and then you stop, your total time used will be 30 minutes. This goes on until your total usage is equal to two hours, and then the bundle expires. To load a bundle, MTN customers can dial *165*4*7# on their mobile phone and select StarTimes.